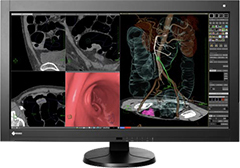 Japanese monitor manufacturer EIZO will present its monitor and video management solutions for operating theatres at the Medica trade fair in Düsseldorf, Germany, from 20 to 24 November. A flexible image display is particularly advantageous during an operation as doctors work together in a team and perform a variety of tasks. That is why it is important to constantly provide each specialist with the image information they need on a monitor within an optimum field of view. EIZO’s Large Monitor Manager flexibly organizes digital images from a range of sources on large-format or multiple monitors. 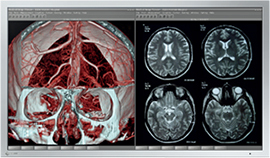 EIZO is set to showcase the LMM0804 at Medica. This monitor manager has been specially developed for video management in operating theatres. The LMM0804 flexibly and intelligently compiles the respective image display for up to five monitors. The image resolution ranges up to 1920 x 1200 pixels, including full HD (1920 x 1080). This means that it is possible to define the image content for each individual device separately. Another EIZO highlight set to feature at Medica is the RadiForce LX600W, a large format LCD colour monitor with an LED backlight. This 8 megapixel monitor is designed for use in operating theatres in the fields of surgery, cardiology and interventional radiology, for example. It enables unlimited, versatile image display and is the ideal solution for modern operating theatres. This is because operating theatres increasingly require variable solutions due to the integration of a variety of imaging systems and several surgical disciplines in one and the same (hybrid operating theatre). T he RadiForce LX470W features a 1920 x 1080 pixel native resolution and a 47 inch screen. This makes it particularly well suited to displaying DICOM x-ray images or as a second monitor in the fields of surgery or endoscopy. As well as many applications in operating theatres, the LX470W offers a wide range of options for viewing images in conference halls and lecture theatres. The 92-cm RadiForce RX840 features a resolution of 4096 x 2160 pixels and shows a high level of detail on a single screen. Unlike most multi-screen systems, the RX840 does not have an annoying split screen. 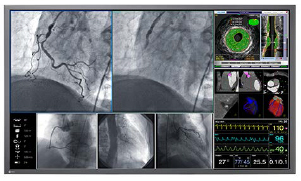 The RX840 provides sufficient space to display all the relevant information clearly and in one place, both as a multi-modality monitor and for use in PACS. The monitor can automatically reproduce monochrome and colour images with the optimum tonal value at the same time, making it suitable for a variety of different tasks. 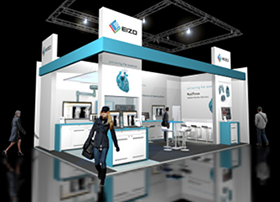 The EIZO stand is located in Hall 10, Stand G41.